Longer distance journeys: Are we well connected? Birmingham’s International Conference Centre was the venue for the recent Passenger Focus afternoon conference, Longer distance journeys: Are we well connected? Kirsty Flatt attended to find out more about the work that they do in the bus and coach industry. Proceedings began with a welcome from long serving Passenger Focus Chairman Colin Foxall who has been in position for ten years. He gave a brief overview of the organisation with its objectives and the changes that will be affecting the passenger transport industry in the coming year before introducing the first of the afternoon’s speakers. 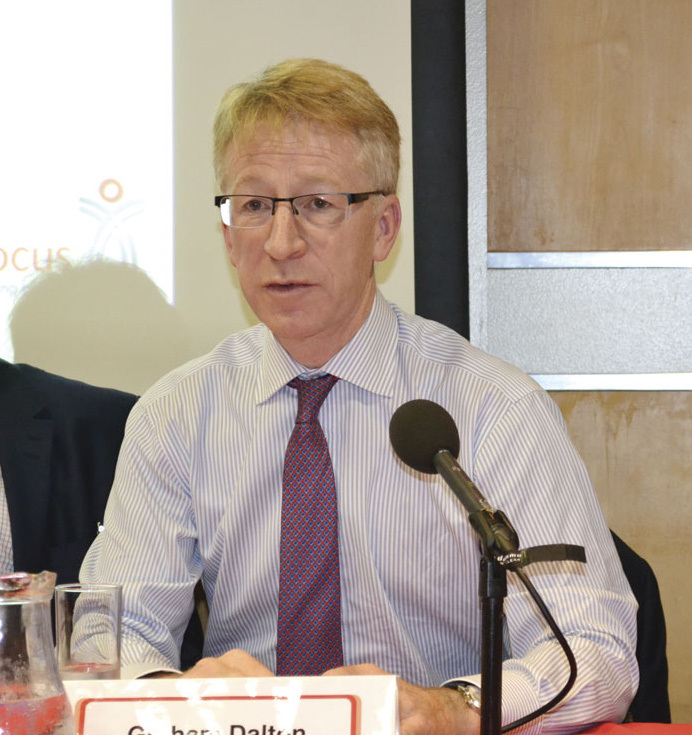 Anthony Smith, CEO Passenger Focus gave an overview of the latest Passenger Surveys for 2013-14 which focus on customer satisfaction. 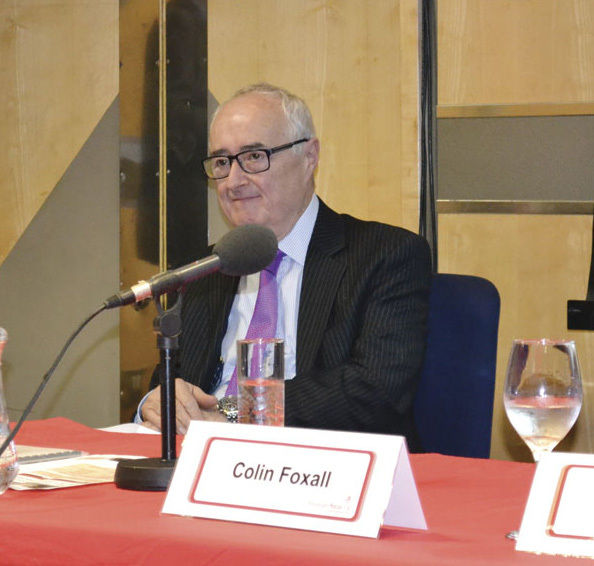 He went on to discuss how smart ticketing programmes are developing outside of London to connect various modes of transport and intimated that Birmingham was ‘Leading the way’. He spoke of how satisfaction rates are generally higher on long distance journeys and he attributed this to the ‘commuter affect’. This was supported with a number of visual presentations and infographics. I have picked out the highlights of the 109 page bus survey below, so that you don’t have to! This is still relatively new to the industry, this being its fourth year and it was unfortunately reflected in the limited attendance from bus representatives at the conference. There is currently no coach survey but this is something that they hope to address in 2015. Some research did take place in 2011 and the results were extremely reassuring. The survey is funded 2:1 by the industry, so for every pound that the taxpayer submits, the operators/ local authorities double it. Over 45,000 passengers were interviewed in England in 19 local transport authority areas, including all six former metropolitan counties. This is representative of three fifths of all journeys that take place outside of London. What has come out of these surveys is that punctuality is key; if the bus is on time, they are less likely to notice other issues. Major operators Arriva, First and Stagecoach were represented across a number of regions as well as companies such as Reading Bus, Norfolk Green and Blackpool Transport. National Express West Midlands were also surveyed as were Go North East. The good news is that in almost all instances, improvements had been made across the services and this reflected in the higher passenger satisfaction results. Overall, of those defined as ‘key operators’ National Express West Midlands achieved the highest levels of improvement across the categories, Overall Satisfaction, Value for Money, Punctuality and Journey Time. Reading Bus came top in the overall satisfaction survey with a very commendable score of 94 %, the same company won Shire Operator of the Year at the recent UK Bus Awards which also uses passenger experiences as part of their judging process. Their value for money rating of 58%, however, left them at the bottom end of that table but they also performed well in the punctuality and journey time categories. The lowest rating in overall satisfaction was First Thurrock with 79%. They also had the lowest punctuality score, the second from lowest value for money percentage and shared the bottom slot for journey times. Of the major operators, Stagecoach came out top in all four areas, although they did share it with National Express and Arriva on journey time, which was very closely contended. Anthony’s overview was followed by Stephen Rhodes, Director of Operations for Centro (formerly WMPTE) whose presentation was ‘The importance of inter-city connectivity to Birmingham. The focus was on connecting to Birmingham’s New Street Station and the transportation of the 36 million people who live within two hours of Birmingham International Airport, Centro has a key role in making those links happen through its integrated transport systems. He recognised the need for improved bus services and stronger east to west links, particularly to tie in with the proposed High Speed 2 rail line, which the Midlands are at the centre of and which is expected to drive more business into these areas. Centro have a formalised partnership agreement across the passenger transport network and £9m has recently been invested in a scheme entitled Partnership Plus, in conjunction with Arriva Midlands. The improvements include; new vehicles, ‘Swift’multi-modal electronic ticketing system and upgrades to Dudley bus station as well as to services and stops in Wolverhampton. Arriva recently launched their Sapphire range to the area on three routes covering Birmingham, Tamworth, Walsall and Cannock. National Express West Midlands also plan to introduce their Platinum service to the region. Plans have also been announced for the Sprint bus rapid transit system to operate in Birmingham from 2016, with Hagley Road being the first area to be covered. 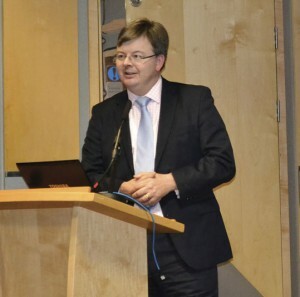 The next speaker relevant to our readers was Tom Stables, MD, National Express Coaches. Although coaches haven’t featured in the passenger surveys to date, this is something that Passenger Focus wants to introduce and something that National Express has been conducting itself. He commenced with an overview of the number of services the company operates to 1000 UK destinations and the amount of passengers they carry on their 529 coaches, including the 40 independent operators who provide services on their behalf. This was followed with a slide showing the passenger experience and the services and benefits they can expect as standard. He spoke of the importance of safety and the fact that every coach is fitted with an Alcolock system which they set to a level well below the legal limit. Surveys that they produced showed that airport passengers were their largest customer base although air transfers came second below visiting friends/relatives as the purpose for travel. The overall customer satisfaction score was 82%, with 89% of passengers finding the service good value for money and saying they would recommend it to others. Tom then went on to speak of the challenges that faced them, which included achieving their punctuality target of 90%, improving stops so that the different technologies are compatible, and making bus stops/stations fully accessible, currently this only applies to about 50% of stations, compared to 100% of their vehicles. 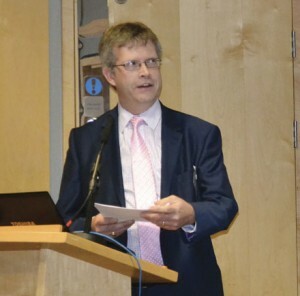 He concluded by talking about connectivity, congestion and problems with the road network that led in well to the next speaker, Graham Dalton, CEO, Highways Agency. This was the first time that the Highway’s Agency had been asked to speak at a Passenger Focus conference and Graham started by talking about nationwide road improvements on our trunk roads which make up 60% of our road network. These include a dual carriageway network through to Norfolk which will be officially opened in December and the last link of motorway on the A1 through to the north east, which should be completed in the next 18 months. The agency is responsible for over 4,400 miles of road network, used by 4 million drivers every day, less than 1% of which are buses and coaches. They claim to have a customer satisfaction rating of 89% with 79% of journeys on time. He then went on to speak about smart motorways and gave an interesting statistic that one more lane on the M25 had increased volume by 57%. The key focus of their operation is on keeping roads clear, and they use CLEAR as an acronym for Collide, Lead, Evaluate, Act, Re-open. There are approximately 6000 live lane motorway accidents a month, a third of which are due to breakdowns, often caused by poor vehicle maintenance and an accident causing fatalities can close a road from 5-7 hours. The agency does not have data on trunk road closures as clearing these is the responsibility of the local police force. Other road improvements that they are working on are a pinch point scheme which focuses on particular bottlenecks. There are currently 125 of these improvements projects taking place, ranging between £1M and £4M, some of which are caused by bad directional signage and road markings. These vary rarely get mentioned but are vital to keeping traffic flowing and improving overall journey times. From 1st April 2015, the Highways Agency, will cease to become an agency of the DfT and become a strategic highways company, probably the only one, and will be operated in a similar manner to Network Rail. Graham concluded with an interesting and surprising statistic that the average speed across all major roads in England in 2013 was 57mph! A Q&A session followed which were predominately gripes about our rail network, however, some interesting points were made. It was pointed out that whilst this seminar was focusing on the longer journey, the infrastructure has to be in place to transfer those people from rural areas to the start of where the major road networks connect and that the roads in these areas need to be better maintained. Stephen Rhodes commented that the bus network has improved greatly, with better route information and timetabling which in turn has increased passenger trust. People are more likely to use a bus now from an outlying area to connect to a town or city. One of the closing remarks on passenger satisfaction was the conflict of space and Stephen mentioned the omnipresent problem on buses of pushchairs in wheelchair spaces. Passenger Focus are a charitable organisation often referred to as the ‘independent passenger watchdog.’ Their campaigning research helps to influence change within the industry as they work alongside national and local government, passenger groups and key industry players. For more details on the work that they do and further information on the bus passenger surveys, visit: www.passengerfocus.org.uk/bus-passengers.